A bungling burglar was caught wearing stolen clothes after leaving a trail of blood from the crime scene. Darren Roberts, 30, smashed his way into a property in the Barnes Park area of Sunderland last summer. The raider made off with a number of items, but in his haste to escape, Roberts did not notice a trail of blood leading directly from the address to the neighbouring streets. Roberts’ blood was also smeared over a range of stolen items that he had discarded while attempting to flee. The offender – who had burgled a second house in a bid to change his clothing and avoid detection – was later found emerging from a garden on Mount Grove. Roberts admitted two counts of burglary on January 22 this year, as well as a separate charge of possessing a pointed article. 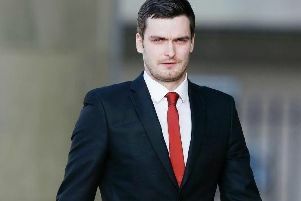 Last Friday, March 15, he was back in the dock at Newcastle Crown Court and was jailed for three years and ten months. Detective Constable Emma Martin, of Northumbria Police, said: “Burglary is a despicable crime that can have a long-lasting effect on victims and their families. “Darren Roberts showed little remorse as he broke into a house and stole somebody’s possessions, but his deceit came back to bite him after he suffered a deep cut that went on to scupper his plans. “There was a lot of blood at the scene which led into the street, and it quickly became apparent that Roberts was responsible for this crime. “The defendant was so determined to evade capture that he even burgled a second property in his desperate bid for freedom, and only admitted his guilty when the evidence against him became overwhelming. He made off with a number of items including cash, bank cards and a wallet. But, after inadvertently cutting his hand during the burglary, Roberts left a trail of blood as he fled the scene which ran from inside the property to nearby streets. Officers also found a number of the stolen items discarded in the street, many of which were covered in Roberts’ blood. A search was subsequently carried out as response officers, assisted by motor patrols, the Dog Unit and Northumbria Police Air Support (NPAS), followed the bloodied trail. Roberts was later found emerging from a nearby garden – but was wearing different clothes which appeared too big for him. It transpired that Roberts had stolen the clothes from a property on Mount Grove in a bid to avoid detection and had discarded his original blood-stained garments during his escape. 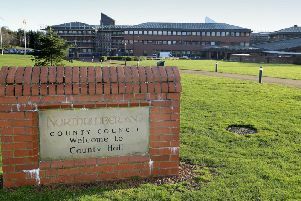 He later admitted burgling the two properties, as well as a separate charge of possession of a pointed article relating to an incident on Elmwood Avenue, Sunderland, in July 2018. Last week, he was sentenced to 46 months’ imprisonment.